Charlie is wishing for a few things to make her life run more smoothly. She has an Irish dance competition coming up and she wants to place in all her dances so she can move up a level. She wants her parents to be a little more focused on her problems because her older sister seems to eat up a lot of their time. And she misses her sister who is away at college and seems to be too busy to respond to texts anymore. When a neighbor invites her to go ice-fishing to raise a few dollars, that seems to be the answer to one of her problems: buying a new, expensive dress for her dance competitions. And then when Charlie catches an unusual fish that speaks to her and offers to grant a wish in exchange for being released, Charlie knows that she has the chance to fix a lot of her problems. But the wishes she makes often seem to have some unexpected twist that makes them go awry. But still, she hopes the fish might be the answer when she finds out that her sister isn't just sick, she is a heroin addict. I like Kate Messner's books and have used two of them on my sixth grade reading list over the years so I was surprised to find out that I'd missed this one along the way. 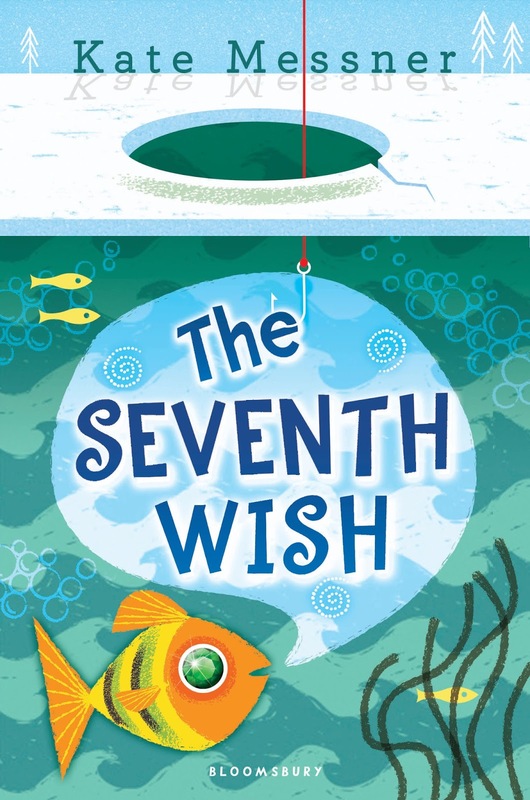 I only heard of it now because I follow School Library Journal and they posted an article about The Seventh Wish. Part of that article talked about how Messner had been disinvited to speak at some schools or told not to talk about this particular book because their community didn't have a drug problem. Well now I HAD to read it!! Like All the Answers, this one has that bit of magic but is still mostly just realistic fiction, especially since the magic does not solve the MC's problems, just works to reveal that there are problems in the first place. What starts as a somewhat light story of a girl dealing with typical middle school problems becomes much more serious but in a totally realistic, saddening way as the extent of her sister's heroin abuse comes to light. Messner does not shy aware from the realities of living with an addict but it is never inappropriate for a middle school crowd who - spoiler alert for those who don't deal with them all the time - are aware that people take drugs! Furthermore, many of them are dealing with family members who take drugs. Messner offers no easy answers and left me feeling the heartbreak of loving a person who now has an issue to deal with for the rest of her life while you are left to work through your worry and anger at them. A really touching, well done book.